A Holiday Hills Golf Community condo is the perfect gift that will provide enjoyment for many years to come. Holiday Hills Golf Community features excellent golfing as well as a beautifully planned gated community, great for a year round residence or a vacation getaway. The Crispin Team of Branson MIssouri has just listed a fully furnished beautiful condo with a golf view of the 16th hole. The living room is spacious and can accommodate all your guests. The master suite is beautifully furnished with a beautiful master bath. The second bedroom is a lock-out, to provide privacy or to rent separately. Amenities for Holiday Hills include a clubhouse,community pool, gated entrance, recreation facilities, tennis and golf putting green.There are plenty of things to do for the entire family at Holiday Hills. A Golf view condo in beautiful Branson, Missouri would make the perfect Holiday Hills Condo gift. Holiday HIlls Golf community is located just minutes from Branson Landing. Branson Landing has shopping, entertainment and dining year round. View the Fire and Water hourly show on Lake Taneycomo. Enjoy the free summer concerts at the Branson Landing. Holiday Hills Golf community is also close to historic Branson Downtown. Enjoy a great meal at numerous local restaurants in the downtown area. Park in the free lots and take the trolley tour around Branson and be “a tourist in your own town”. Holiday HIlls Golf community is 10 minutes from Branson entertainment. Over 40 theaters with over 70 shows are performed nightly. 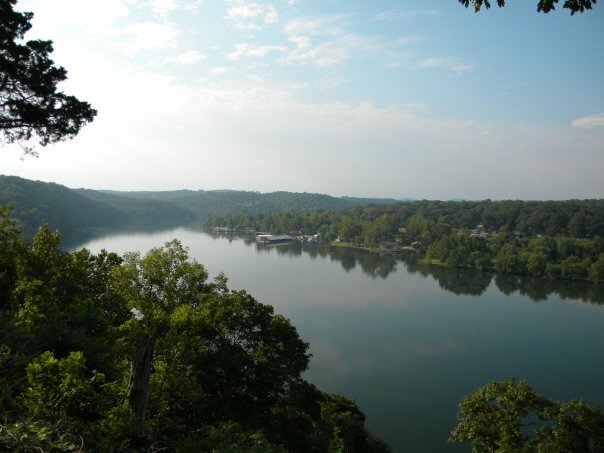 Branson boasts 2 movie theaters and Shepard of the Hills Amphitheater outdoor live performances. Silver Dollar City Theme park is just 25 minutes from Holiday Hills Golf community.Step back into the past and enjoy the experience of a world-class theme park that features top entertainment, food and shops. Holiday Hills Condo is a great family investment for now and your future. Call The Crispin Team at 417-335-3109 for more information. The Crispin Team has just listed a multilevel Branson luxury home with scenic views from virtually every room in the home! The living room has a large picture window with Ozark Mountain views. 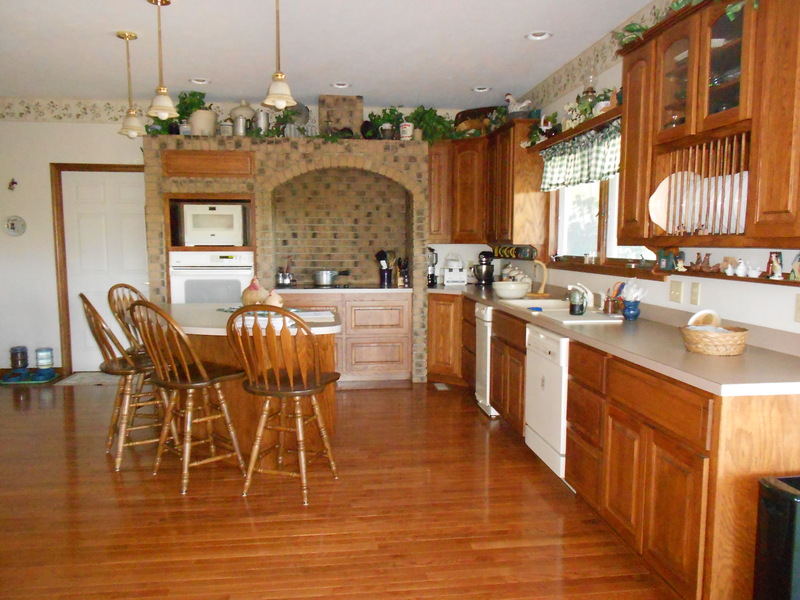 Walk out of the living room or dining room to a large wraparound deck to enjoy every day in the Ozarks. The kitchen and dining room have wood floors and plenty of space to accommodate your family and friends.The master bedroom is on the main level with great views. The upper level features a loft style bedroom/playroom. This could also be a great fitness room if desired. The lower level could be used as an apartment or in-law suite. The lower level has a super sized living room, sitting room,master bedroom with bath, kitchen,and laundry room. There is also a safe room on the lower level, to protect the homeowners against inclement weather.The lower level has a private entrance and is handicapped accessible. The detached garage is a dream garage workshop! Part of the garage could be a showroom for your craft. There is a bathroom, including a shower in the workshop/garage. The other half of the garage can hold a few cars to work on or for storage. This space would also be great for a master craftsman of any type to create their woodworking or other type of craftsmanship. There is a large asphalt area to accommodate large vehicles across from the garage/workshop. 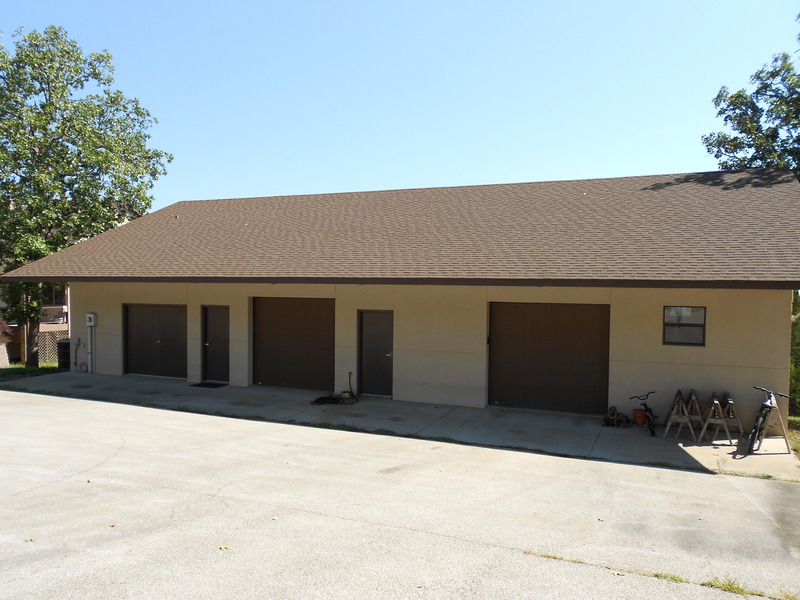 There is also a storage building adjacent to the storage/workshop building. 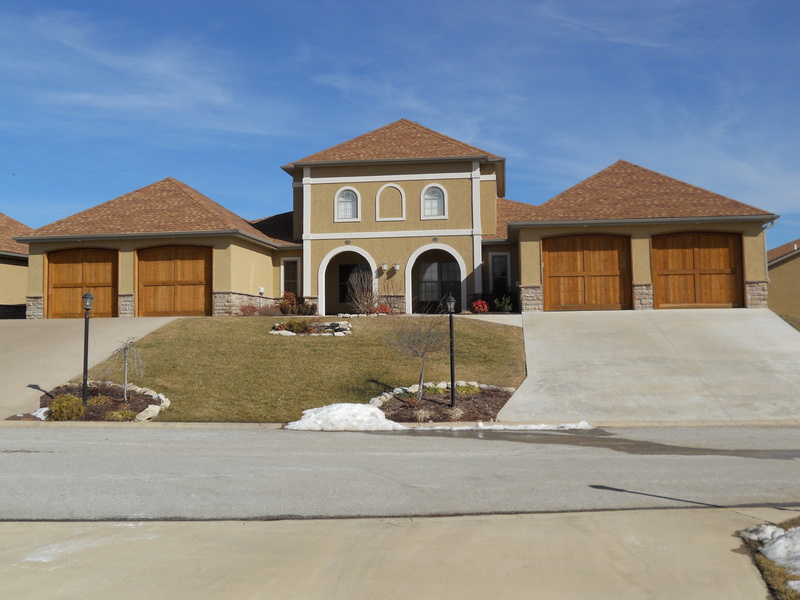 Call The Crispin Team at 417-335-3109 if you would like more information on this Branson Luxury Home on 9 acres with a dream garage mechanics workshop. 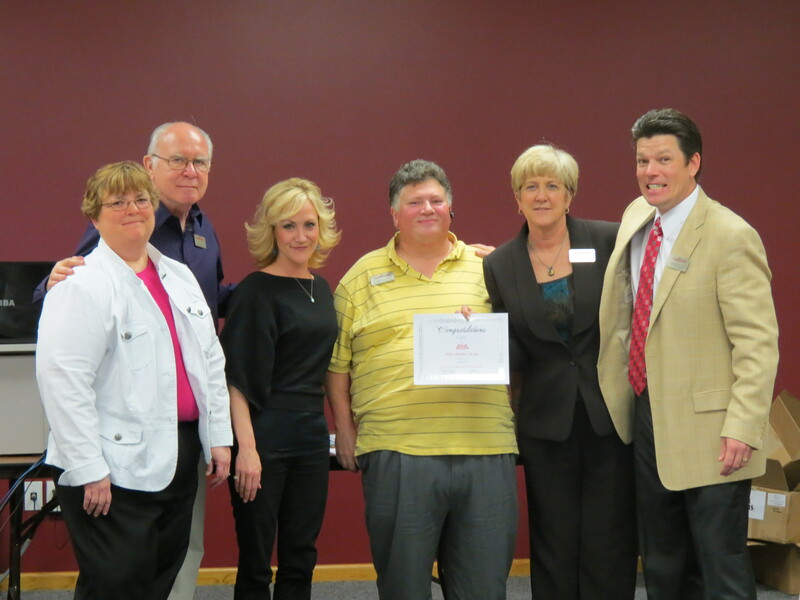 The Crispin Team of Branson MO received multiple awards on March 13th 2012 at the Keller Williams Tri-Lakes Agent Award Luncheon. Keller Williams Tri-Lakes celebrated it’s first year in operation in Branson Missouri. There are two locations to serve the Branson area. The main office is in downtown Branson MO. 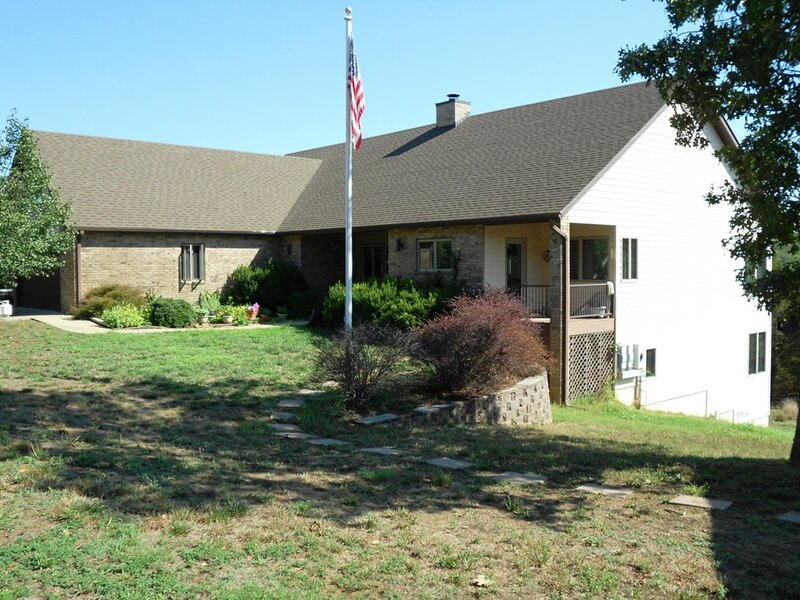 The second office which services Table Rock Lake and Branson Lake View homes is in Kimberling City. Marc King is the Operating Partner of the Market Center. The event was slated to recognize the opening and highly successful beginning to Keller Williams Tri-Lakes, with a long future of selling Branson MO real estate. The Crispin Team specializes in Branson golf front homes, Branson lakeview homes, Branson condos and Branson commercial real estate. The Crispin Team consists of 7 members. Carolyn Crispin is the rainmaker/leader of the Crispin Team. Tony Cavitt is the listing specialist for the team. Shannon Drockelman is a buyers specialist. Cindy France is a buyers specialist. Don Smith is an assistant to the listing specialist. Faye Schubert is the marketing and technology specialist. Karen Howell is the administrative specialist. GCI Award: shared team award for highest gross company income for the 2011 year. The Crispin Team members pictured from left to right are: Faye Schubert, Don Smith,Shannon Drockelman, Tony Cavitt, Carolyn Crispin and Mark King. Not pictured: Cindy France and Karen Howell.